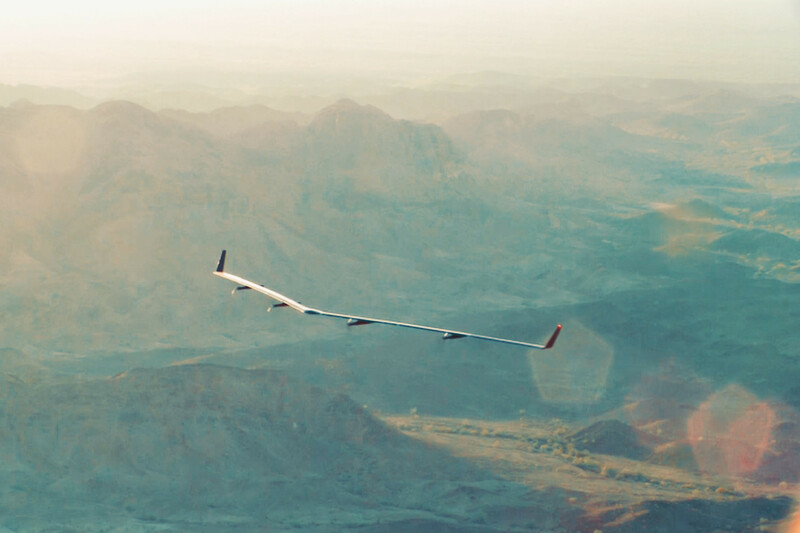 Facebook has successfully completed a test flight of a solar-powered drone that will beam internet from the sky. The drone, called Aquila, is a carbon fiber aircraft that weighs about a third of an electric car, but has a wingspan bigger than a Boeing 737 airplane. It flies on solar power during the day and battery power at night (its batteries are responsible for about 50% of its mass). When deployed, it will be part of a wider fleet of aircraft beaming internet to people within a 60-mile diameter for up to 90 days at a time. The first flight of the full-size craft lasted for 96 minutes – that's more than three times longer than the originally planned half an hour. At the test-flight cruising altitude of 2,150 feet, Aquila consumed around 2,000 watts of power, or a little over one hairdryer's worth. 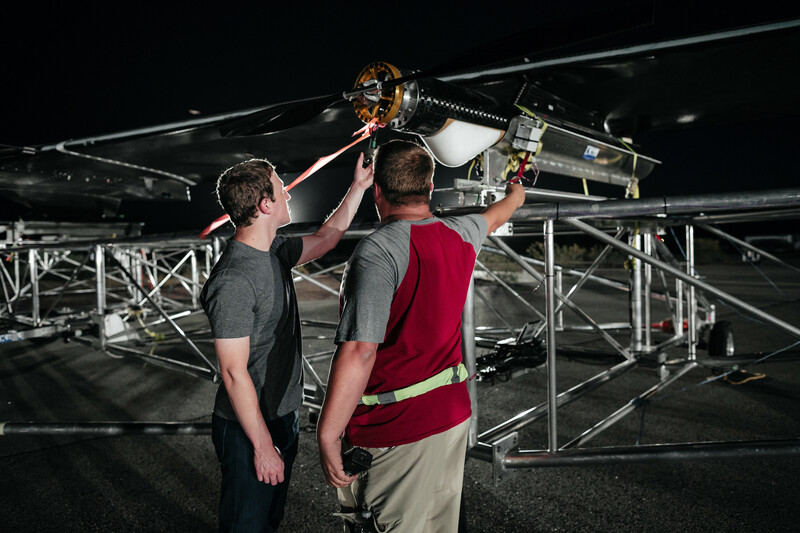 Facebook's drone fleet will use "free space laser communications" to communicate between individual aircraft, and radio technology to beam the internet signal from the fleet to receivers located on the ground. The laser technology delivers data 10 times faster than current state-of-the-art competitors and can target an area the size of a dime (about 18mm) from over 10 miles away. The challenge Facebook is trying to solve with Aquila is the 4 billion people without internet access. Over 1.6 billion of that number live in remote, difficult-to-access locations that currently lack mobile broadband networks. The traditional internet delivery method – mobile towers connected together by fiber – is too expensive for these rural areas. The plan is a continuation of Mark Zuckerberg's Internet.org initiative, which aims to bring the internet to the poorest parts of the world.